Carino’s Italian offers the best Italian dining experience in Pigeon Forge. All menu items are hand crafted from the finest ingredients. From Italian classics to Carino’s Signature dishes such as Italian nachos, shrimp scampi and lemon rosemary chicken. There are even gluten free menu items. The Carino’s Italian Pigeon Forge location has an open dining room that allows for plenty of seating for large parties. A separate room for private group dining is also available. 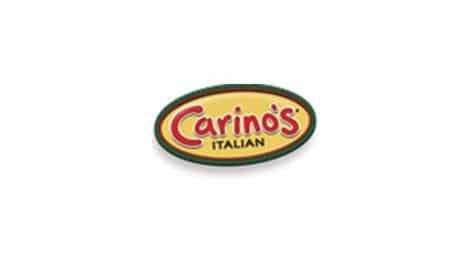 Dine at Carino’s today to experience fine Italian food in a warm family friendly atmosphere! Call ahead seating is available. Sunday -Thursday: 11 a.m. – 10 p.m.